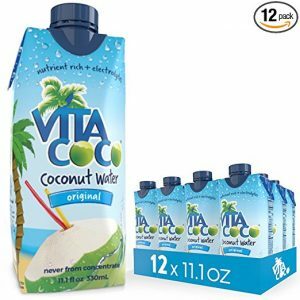 On Amazon right now you can get Vita Coco Coconut Water, Pure – Naturally Hydrating Electrolyte Drink – Smart Alternative to Coffee, Soda, and Sports Drinks – Gluten Free – 11.1 Ounce (Pack of 12) for just $9.42 when you choose the Subscribe & Save Option. This works out to just $0.79 per carton and shipping is free! Coconut water is very hydrating perfect to have on hand in the hot summer months.